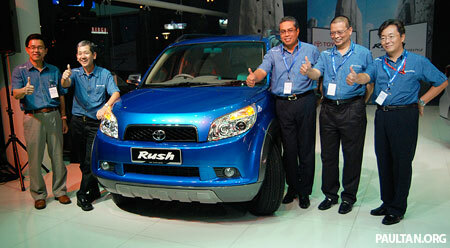 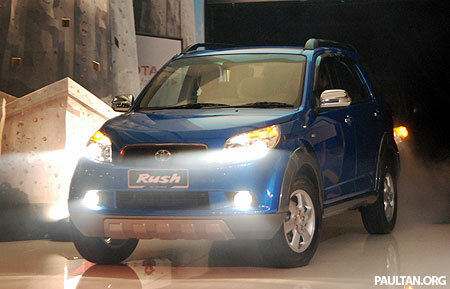 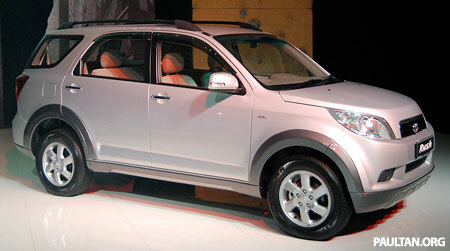 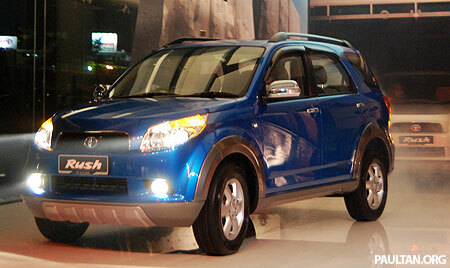 New 7-seater Toyota Rush SUV launched! 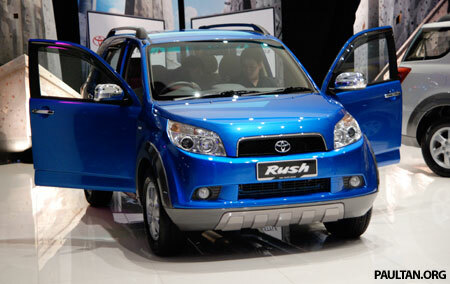 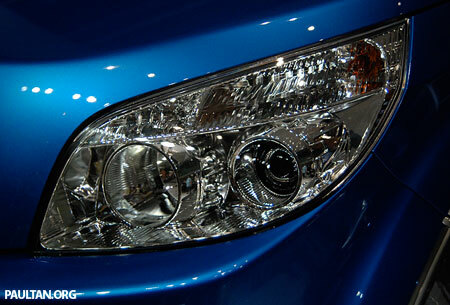 Home » Local News » New 7-seater Toyota Rush SUV launched! The new Toyota Rush has been launched in Malaysia and UMW Toyota showrooms will start taking bookings from today onwards. 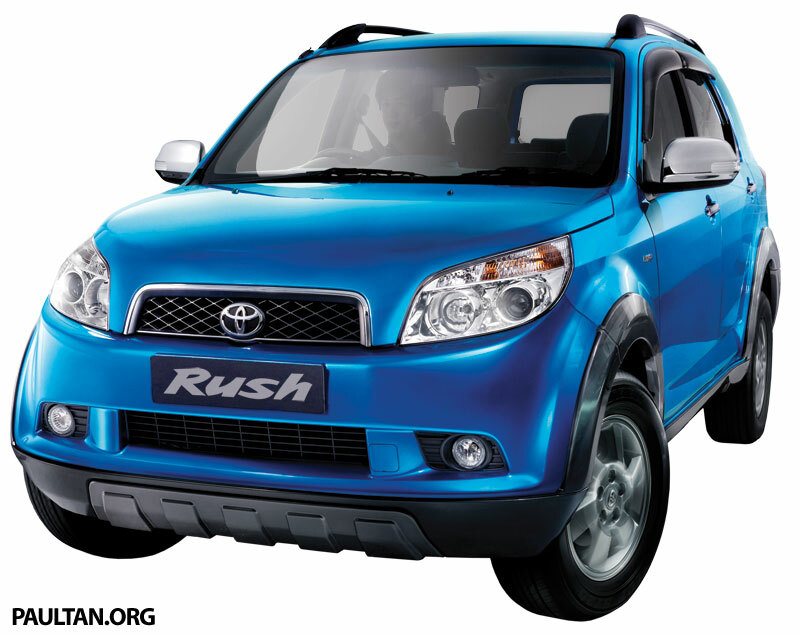 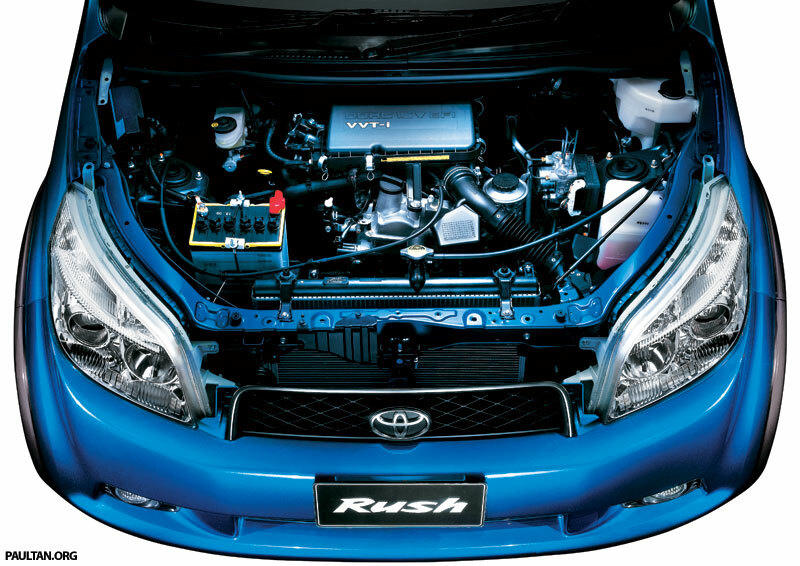 Read more about the new 7-seater fully imported 4X2 Toyota Rush 1.5 litre SUV after the jump. 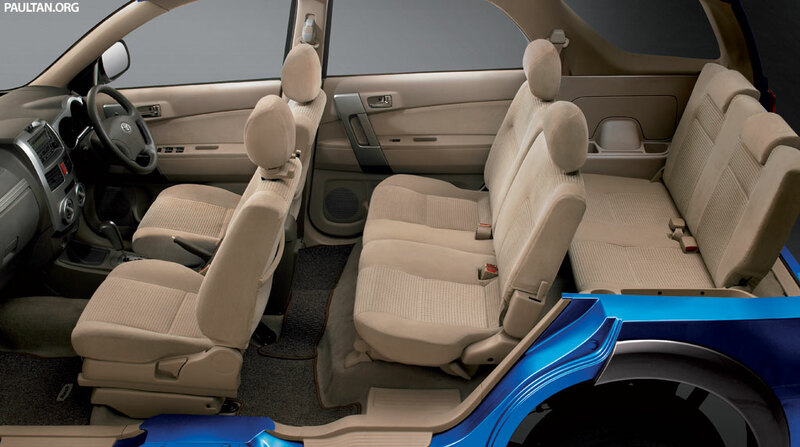 The new Rush is a 7-seater monocoque SUV based on an adapted Toyota Avanza platform, and is powered by a 1.5 litre VVT-i engine called the 3SZ-VE, installed longtitudinally in the Rush’s engine bay. 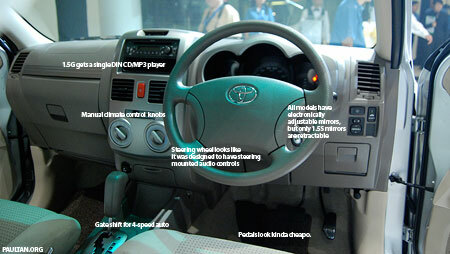 It drives the two rear wheels. 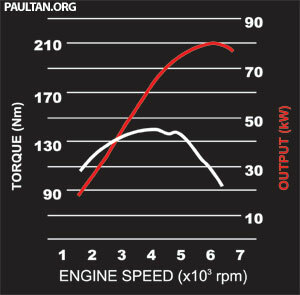 The 3SZ-VE produces 109 PS at 6,000rpm and 141Nm of torque at 4,400rpm. 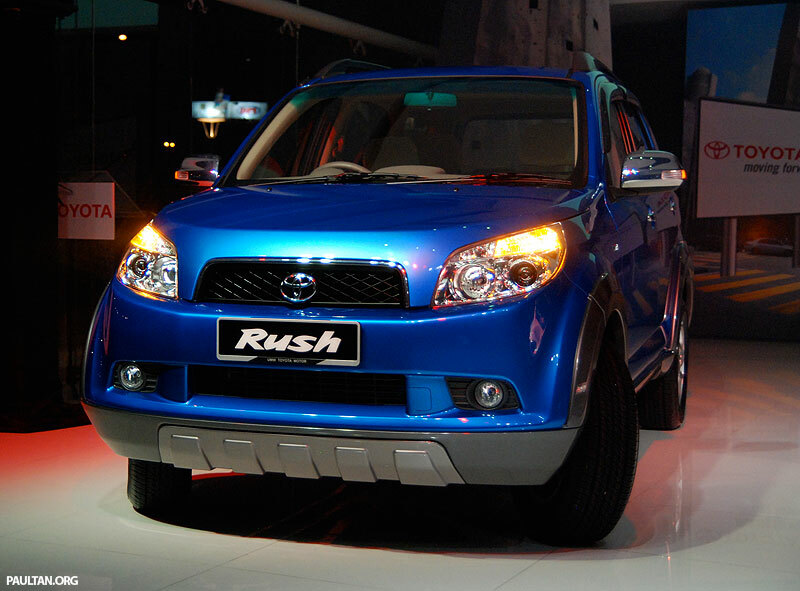 Three variants of the new Toyota Rush are available – the manual 1.5G, the automatic 1.5G and the automatic top of the line 1.5S, which is only available in automatic. 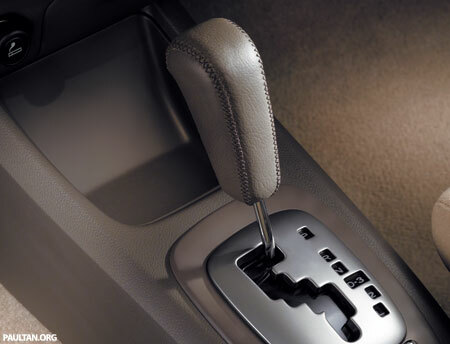 The manual variant has the 3SZ-VE paired with a 5-speed manual, while the automatic version has a 4-speed auto with a gated shift. 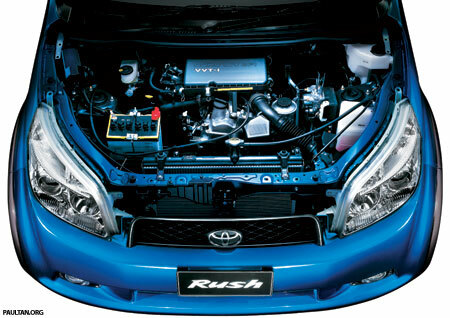 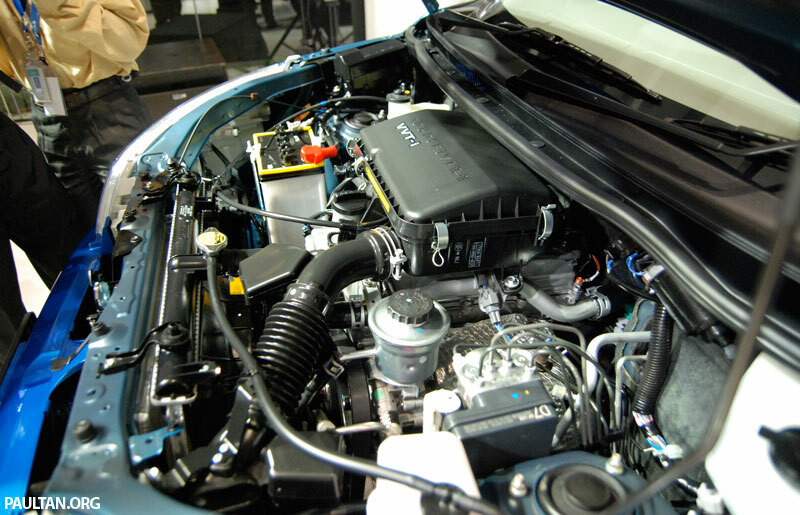 The drivetrain is 2WD, which is lighter and offers better fuel economy. 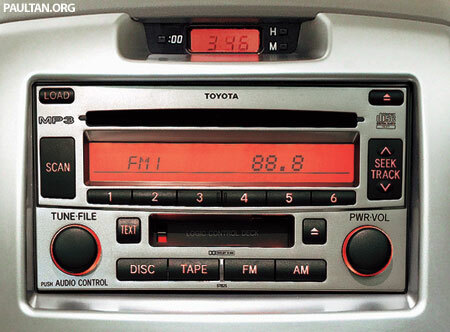 On to equipment levels – the in-car entertainment is a single disc MP3-capable head unit that sends tunes to 6 speakers (4 speakers plus 2 tweeters). 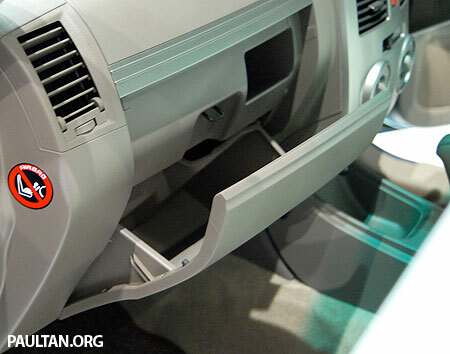 The emergency kit includes a jumper cable, first aid kit and a safety triangle. 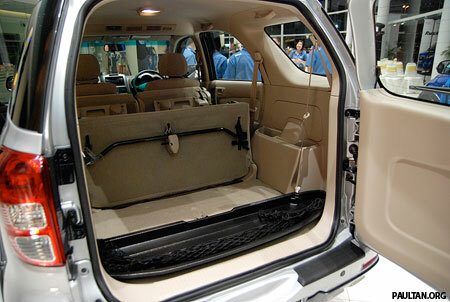 The boot comes with a luggage net. 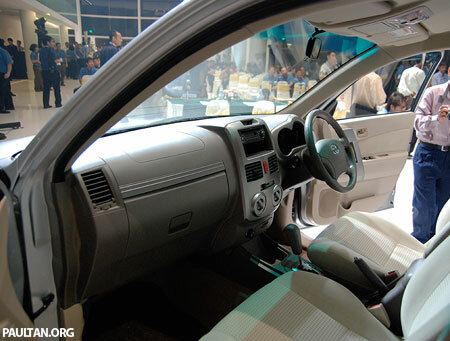 The wing mirrors have turn indicators integrated into them. 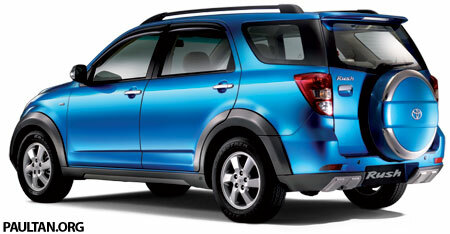 The Toyota Rush rides on 16 inch alloy wheels wrapped with 215/65R16 tyres. 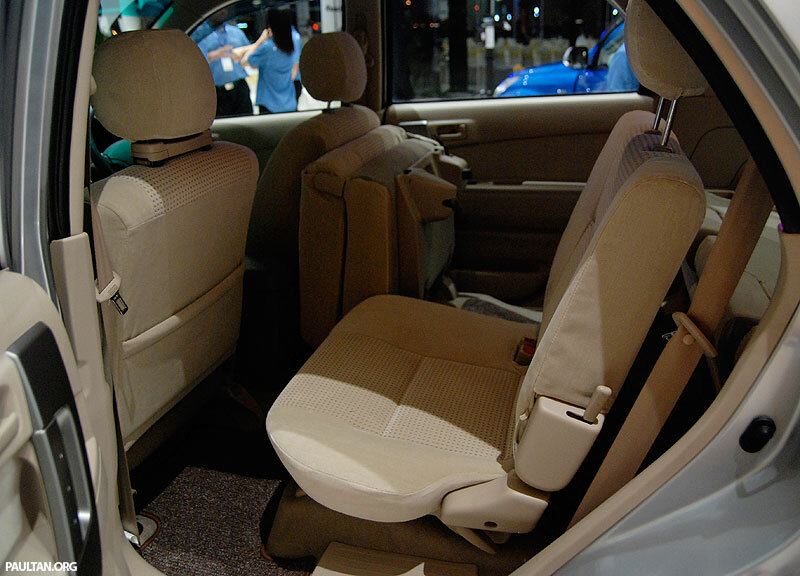 The driver’s seat has height adjustment. 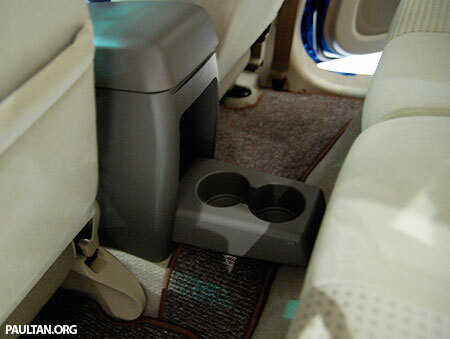 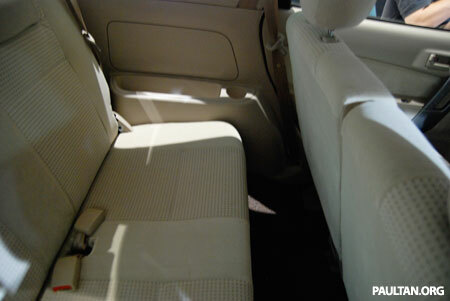 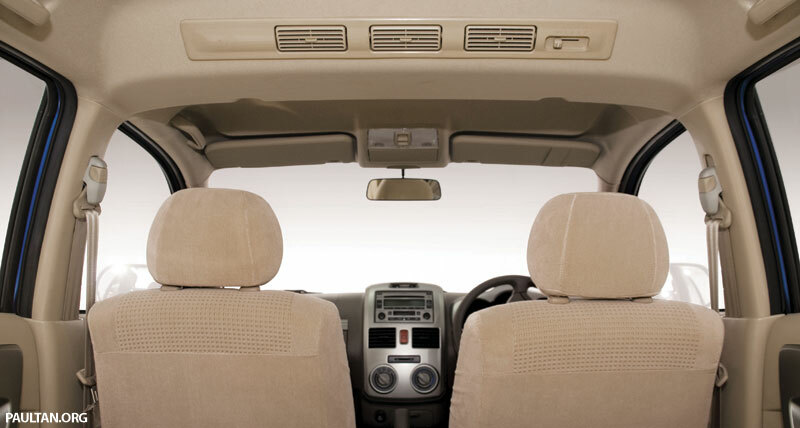 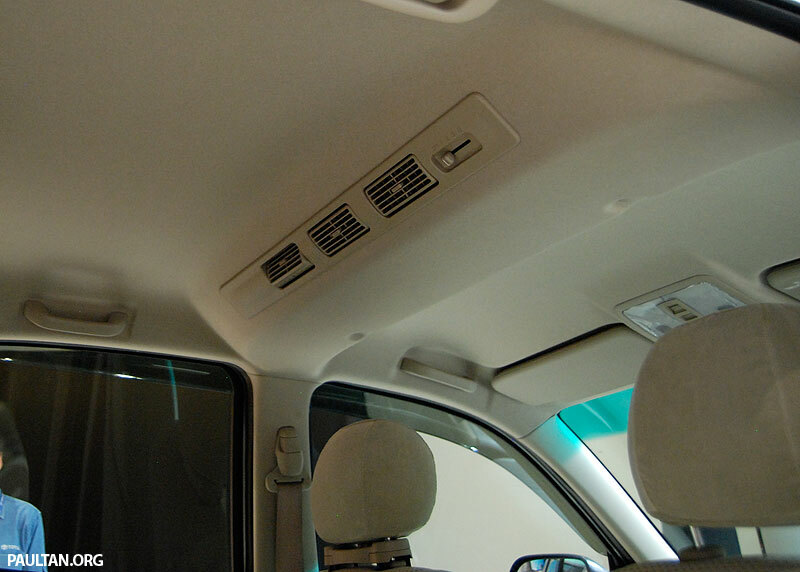 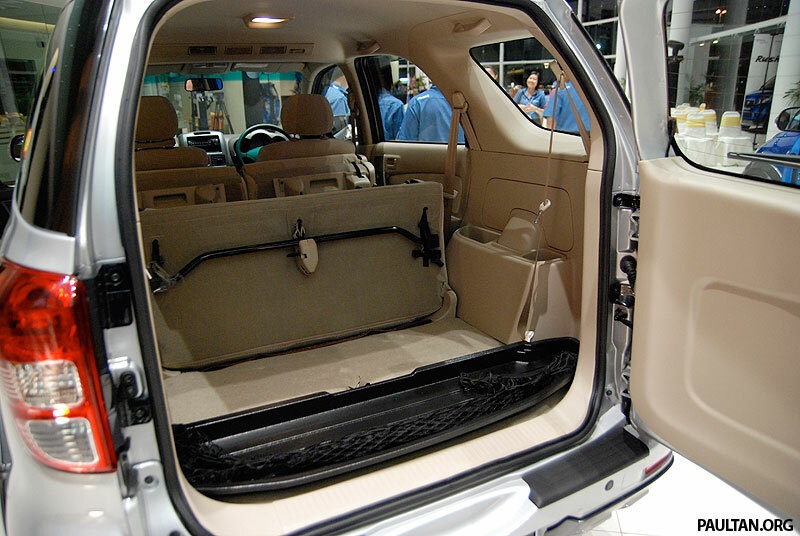 Storage areas are also aplenty – a glovebox, a little coin box, front center storage below the air conditioning controls for your mobile phone and etc, the center console box inside the arm rest, a sunglasses holder, door trim pockets on all doors, seat back pockets, and also third row storage on each side of the car. 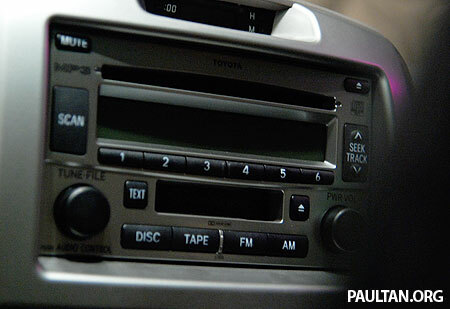 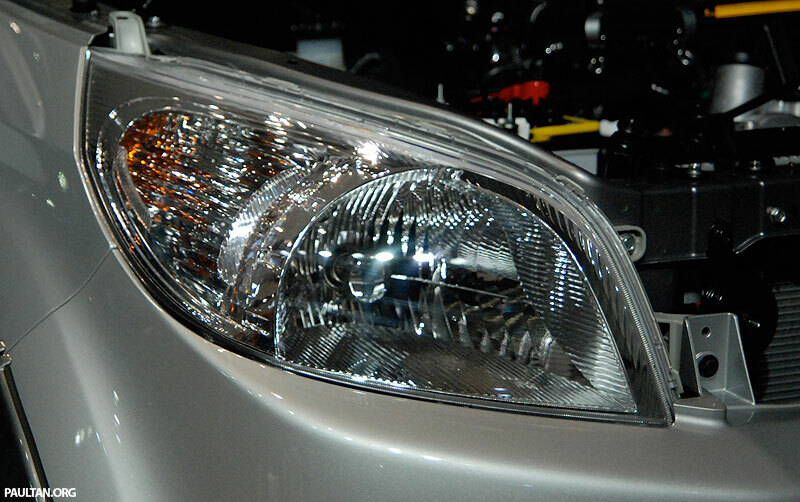 The 1.5S has a few extra equipment options over the 1.5G – these include a 2-DIN head unit that also supports cassette other than a CD instead of a 1-DIN unit, projector headlamps instead of reflector lense headlamps, foglamps, an LED-powered high mount stop lamp instead of a bulb-powered one, a rear spoiler, power retractable door mirrors, leather wrapping on the gear shift and steering wheel, dual SRS front airbags (1.5G only has a driver airbag) and strangely – anti-lock brakes and electronic brakeforce distribution. Yup, ABS and EBD are not standard on the Toyota Rush as the 1.5G manual and auto models do not have these safety options. 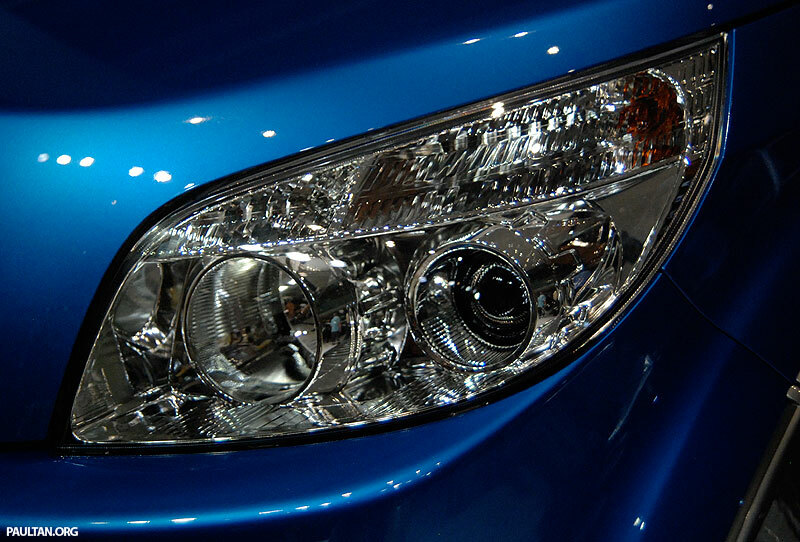 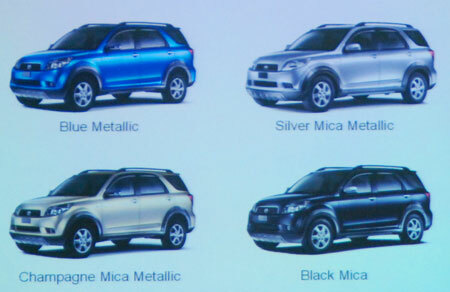 It comes in four colours – Blue Metallic (the signature colour), Silver Mica Metallic, Champagne Mica Metallic and Black Mica. Kinda looks like the love child of a Toyota RAV4 and a Toyota Fortuner… looks really attractive but the smallish engine and the lack of ABS across the range is kinda disappointing.